Our regular feature, Collection Rotation. Every month I invite someone to organize a mini-exhibition from our collection works online. Today’s guest is Bay Area artist Jessica Tully, whose work has included underwater performance, site-specific synchronized Bobcat Skid-steer Loader ballet, and many other fantastic things. Welcome, Jessica! Ten years ago, I found myself relearning to walk after a bicycle accident. I did this in water: the mysterious gravity-defying element that covers 75% of our planet and comprises 75% of our bodies. All the loving swimming lessons my grandmother had given me as little girl were suddenly back. It was as if she sent me a gentle wave from afar that fully enveloped my once-severed body, making me feel whole as my weakened meridians turned into precise fins. Water’s supple power is at once yielding and forceful, and it was only in it that I regained my footing. I now know that water offers lessons not just for the body, but for spiritual and psycho-geographic liberation as well. Pools, lake, oceans, and hot springs have become my new terrain. 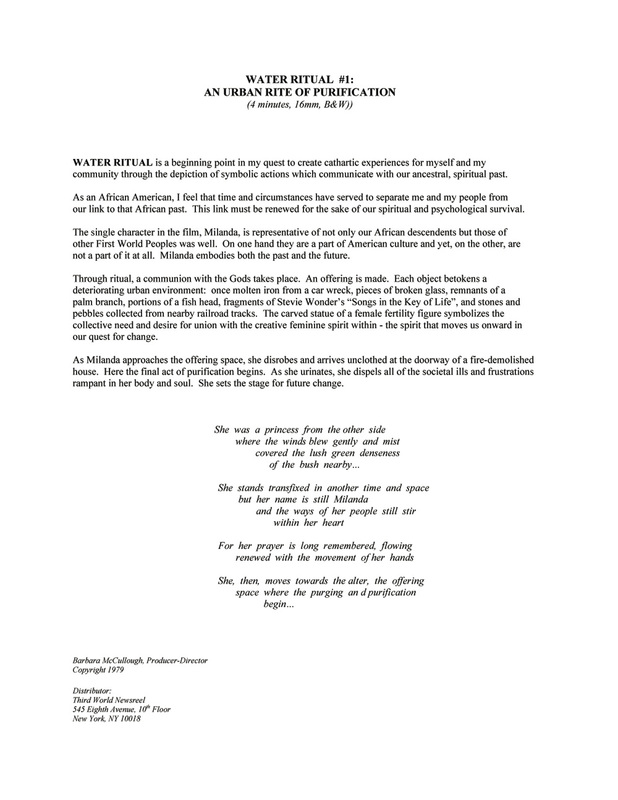 Water is a powerful spiritual technology that indigenous and diasporic peoples the world over have used for purification and blessings through time. I am interested in how other artists relate to this element and furthermore to ideas and expressions of liberation – both for themselves and perhaps from broader structures of oppression. These two photos bookend notions of private property. As our planetary fresh water sources become increasingly cherished, expressions of community, collaboration and resource-sharing on one hand, and control, privatization and commoditization on the other, are reflected in how we as a people relate to water. Danwen’s double exposure might point to this double direction. What it certainly offers is a liquid expanse of a great river. Viewing this piece made me feel the breathless abundance and anticipation prior to diving into a body of water. Yet there is something more ominous looming, forms and futures are imposed into this bucolic scene. Half still, half turbulent where do her currents take us? Will we need a strong stroke? To me, how we treat water not only locates us and our proclivity for stewardship or greed as a human community, but also can act as a spiritual technology. 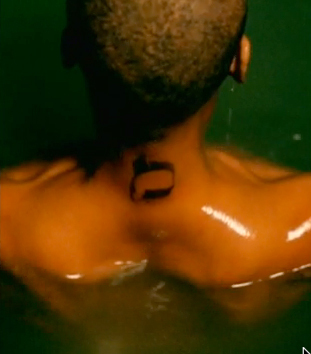 In the rare video, “Didn’t Cha Know” from the Mama’s Gun release in 2001, Erykah Badu considers wrong turns and other ambivalencies as she alternately walks, runs and sleeps through a desert environment, ultimately landing in the center of a sacred circle in an underground hot spring. 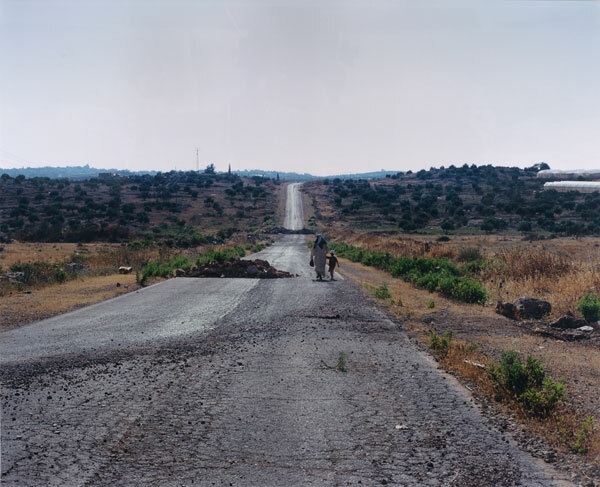 Shai Kremer’s “Dromology: Palestinian Woman and Child” considers how warfare structures society. She notes “whoever controls the territory possesses it. 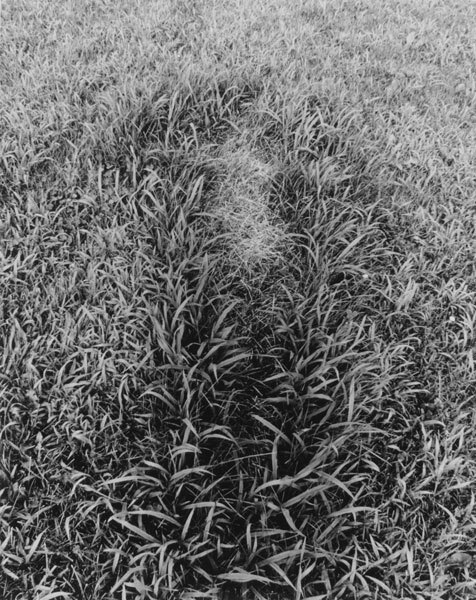 Possession of territory is not primarily about laws and contracts, but first and foremost a matter of movement and circulation.” The formal aspects of this photo pick up on the path Badu articulates losing. Both Kremer and Badu’s pieces are set on stark desert floors, where denial to basic resources sets off a feedback loop of denial to basic human rights. Film still. 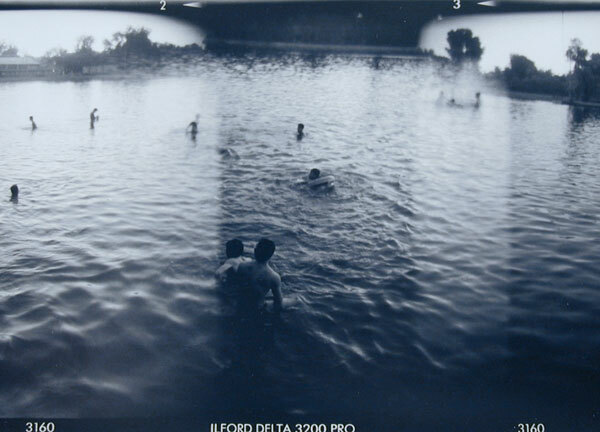 Barbara McCullogh, Water Ritual #1: An Urban Rite of Purification, 1990, 4 min., BW, US. *Not in the collection of SFMOMA*. Image courtesy the artist and Roberts and Tilton. McCullough completes the circle with her personal and ancestral investigations of water and its use as a purification rite. The passing of water returns her to her pure state. 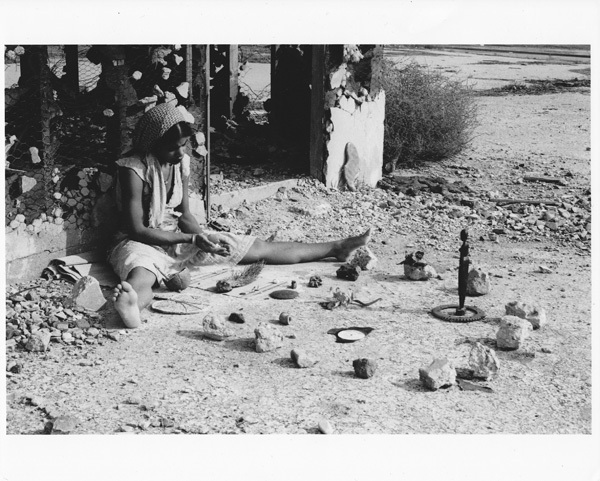 Like Badu and Mendieta, her body becomes the site for an organic ritual practice. 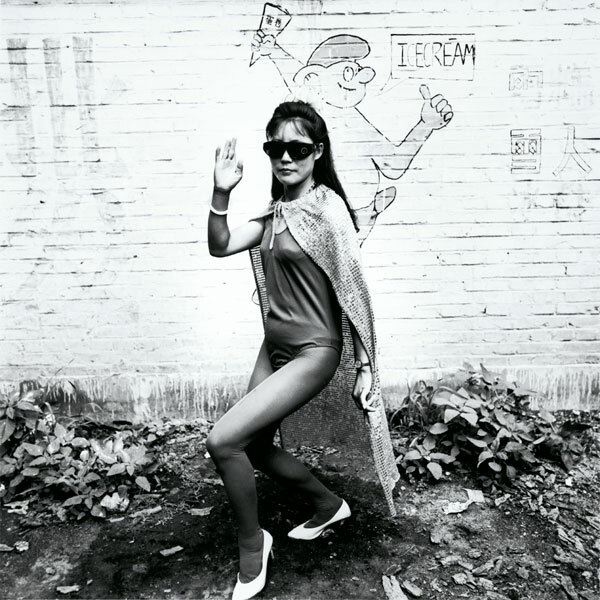 Zheng’s Folk Entertainer Lingqui County, Shanxi Province underscores my interest in feminism/s as embodied in the heroine posture with all of its grit, irony and grace. So many of the misunderstandings about feminism stem from mis-articulations of a dominant female form instead of what I’d suggest is actually the issue: equality. Until we are all equal, whenever I see the female form presented with its curves, strengths and humor, I will stop, smile and nod. These images depict humble masters, celebrating the feminine in all of us. 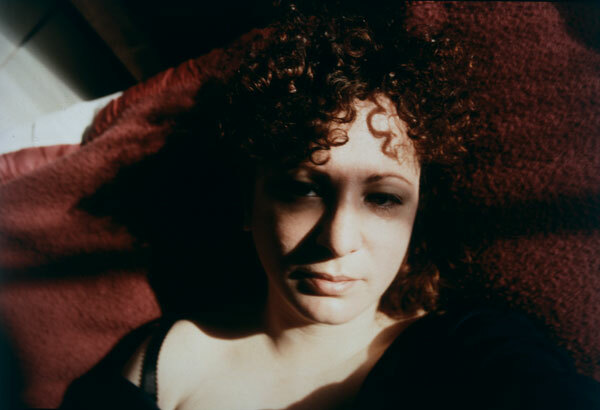 Like the Daoist notions of water, Nan Goldin’s yielding but powerful inner gaze beckons us to join her in examining our interior landscapes. To me, this is an incredible expression of feminist power: simultaneously humble and strong. Nearly black and white on a red tapestry, her confidence and relaxed posture drew me in. She is such a badass. I dedicate Jenny Holzer’s I Am A Man to George W. Bush. He used his power for war, privatization, and deceit. 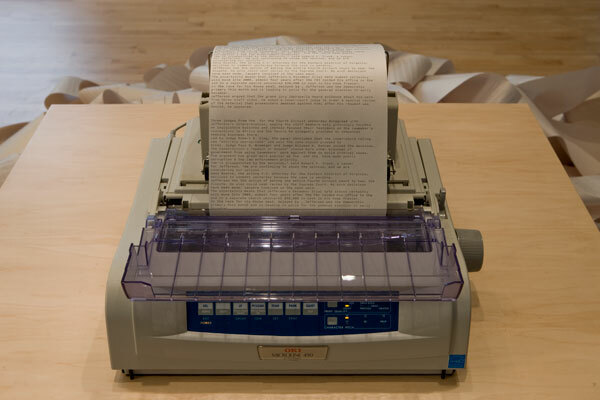 Reports of which undoubtedly ended up in a jumbled mess on the floor in the 2008 restaging of Hans Haacke’s News courtesy of SFMOMA’s groundbreaking The Art of Participation exhibition. June 2010 – Oil is spilling forth into the Gulf of Mexico at a pace never seen in history. Deregulation under the Bush Administration led by Bush and Cheney, two oil men, undeniably led to this moment. President Obama, left, Michelle Obama, Jill Biden and Vice President Biden give George W. Bush and wife Laura a send-off at the U.S. Capitol. I am deeply moved by this image of President Barack Obama, First Lady Michelle Obama and the Bidens’ final gesture waving goodbye to the Bushes and the planetary mess they made. With the liftoff of that helicopter a new environment was created, and my hope is that it is more aligned with the gentle masters, whose humble power is guided by grace. 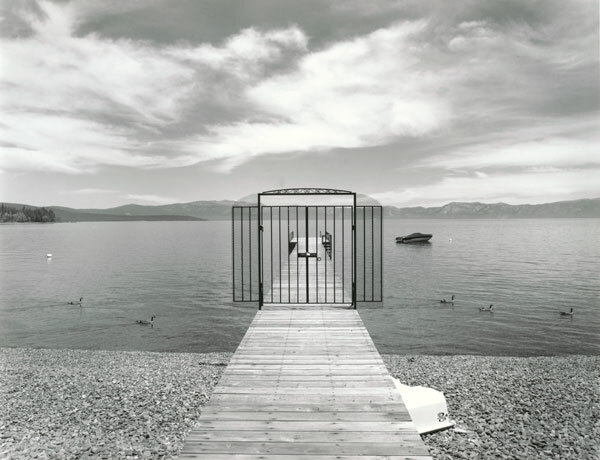 Jessica Tully is a Bay Area based conceptual artist working primarily in video and participatory practices. Her site-specific choreographies and performance videos take place underwater, on football fields, at State Capitols, on the Bay Bridge and in Havana, Cuba. For her Bay Area Now 5 work, SYNDICATE, she installed four large chalk stencils depicting SFMOMA’s history of unionization outside SFMOMA’s staff entrance, one of 16 stops on her walking tour of unionized cultural spaces. Jessica’s cell phone sleeping bag, designed for the launch of Reboot’s Sabbath Manifesto, was featured in the Style Section of the New York Times. This is a wonderful exhibition of beautiful images and imagery. Thank you and congratulations!